So you have decided to purchase a kitten (probably a pedigree) and you now want to find reputable cat breeders. There are some horrifying tales of lax breeders so hopefully this guide will help you choose a good breeder. 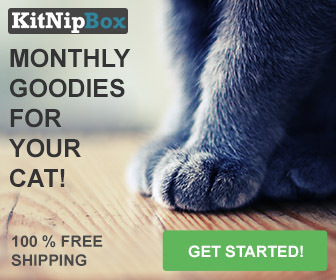 Ultimately you want a happy and healthy kitten. You might know that I have a Ragdoll cat called Dyson (she models for me). Last year, we lost her longtime companion and now felt like the right time to get a new cat. Ragdolls enjoy companionship and sometimes I am out all day so Dyson gets a little lonely. As I liked the temperament of Ragdolls I wished to stay with this breed. When I started looking for a good breeder, I realised that there are a lot of red flags out there. Red flags, that might not be easily recognisable for someone who had not bought a kitten before. My first route was looking at an online pets for sale site. And here I quickly found two breeders who had kittens for sale and both of them within 30 miles from myself. After ringing both breeders here is where I discovered my first red flags. No registration papers for the kitten. No registration papers for the parents. Parents had not been tested (or no testing papers available) for any breed specific defects. Kitten was being sold without being vaccinated. Kittens should always have their first vaccination at 8 weeks old and their second about 2-3 weeks later. Not only does this make your new kitten vulnerable to disease but you then have to spend more money on vaccinations whereas you could have got a fully tested kitten for the same price. Mother’s papers were lost in the post (no idea why replacement papers were not sent out). This was to be the only litter – I only have the breeder’s word that she has not bred from this pairing before or that she has not inbred her cats. You may wonder why having no registration papers matters. After all the breeder is telling you that the kitten is a pedigree. Well if the kitten is a pedigree – then why doesn’t it have papers? It is not easy to tell that a kitten is a true pedigree unless it’s lineage is recorded. Why does this matter? Well you are paying pedigree prices for a kitten that may or may not be a pedigree. You also have no way of knowing if there has been any inbreeding in the parents or grandparents. You also have no way of knowing if there are any genetic defects in the parents. Reputable breeders will never breed from a cat that has been tested as having a genetic defect. First up, do your research into the cat breed that you are interested in. This means that when you do find a breeder you can ask them questions that are related and specific to the breed. For example, for Ragdolls they are prone to a genetic defect called HCM – I therefore, ask all breeders if their breeding cats have been tested free from this defect. Secondly, if you know people who have the breed that you want – ask them for recommendations for good breeders. Usually a good breeder will only have a couple of litters a year and you may often go onto a waiting list. Getting a pedigree kitten is not a spur of the moment decision. In my case, Dyson’s breeder seemed to no longer breed ragdolls so I had to look further afield. However, I was lucky that I had done a lot of research when I got her. If you cannot get breeder recommendations then almost every country has a national Cat Fancy organisation which will list reputable breeders for your breed. Look at the GCCF (Governing Council of the Cat Fancy) in the UK (the oldest cat fancy association in the world). In the US there is the American Cat Association (ACA), the Cat Fanciers’ Association (CFA) and the International Cat Association (TICA). 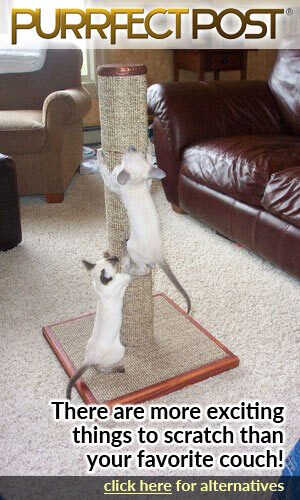 Your next step once you have found that they have available kittens is to arrange a visit. Try to never buy a kitten, sight unseen as you really want to see how it acts in its’ environment and also how the breeder’s premises are kept. The breeder should be knowledgeable about the breed and this knowledge should be apparent in your first conversation with them. As soon as the kittens are able to be viewed, make an appointment to see them. Most breeders will not let you see the kittens until about 8 weeks of age – usually after they have had their first vaccination. At this stage their eyes will be open and they will be starting to explore the world around them so you will get an idea of the kitten’s personalities. Your breeder will ask you just as many questions about you and your household as you ask them. Reputable breeders want to make sure that their kittens will be going to a good home. They may ask about your knowledge of the breed and if there are other pets or children in your home. They will also want to know if they cat is going to be an indoor cat or outdoors. Some breeds will need to be indoor cats only. Furthermore, you may have to sign a contract where you will need to have the cat neutered or spayed before you receive the kitten’s papers. Ideally the kittens will have been brought up in an actual home rather than a pen. This means that they will be better socialised and used to being indoors. I would prefer to buy a kitten who is being brought up around a family and would probably not choose a penned kitten. Make sure that you see the kitten’s mother and if possible, the father as well. Though usually breeders will use stud males from other breeders to stop inbreeding. It is also the best idea to see the kitten interact with its litter-mates. One reason you want to see the kitten interacting with other kittens is so you get an idea of temperament. This will tell you whether the kitten is timid or shy or whether it is aggressive and bullies it’s litter-mates. 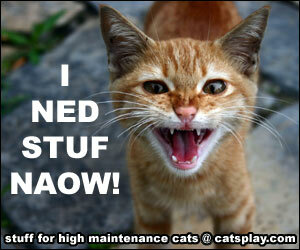 You will probably be looking for a kitten that is alert and playful but not overly boisterous and aggressive. It should be inquisitive and show curiosity. Pick up your kitten and see how it reacts. If it bites and scratches and squirms excessively then it may not have been socialised enough. A cat’s personality is often defined by how it is treated in the first few weeks of age. Your kitten should look bright-eyed and not be lethargic. If the kitten is acting sleepy then it could have just been fed – if so revisit at another time. If the parents have been tested for genetic defects then ask to see the papers. A reputable breeder will be ready for this question and have their papers on hand. 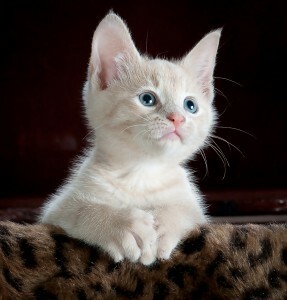 Once you have seen and chosen your kitten, you will usually be asked to pay a deposit to reserve the kitten. Usually you will be visiting the kittens at between 6-8 weeks and a reputable breeder will not let them go to a new home until at least 13 weeks of age. At this time they will be more independent of their mother and would also have had their second round of vaccinations. Again make sure that you receive a copy of their vaccination papers. A breeder will normally give you a kitten pack. This should include a copy of the cat’s pedigree and their registered name, a copy of the vaccination certificates, details on the breeder (telephone number and address) and usually 4 weeks worth of kitten insurance as well as the contract. I have in the past also received the kitten’s favorite toy and blanket and a sample of the food the kitten has been eating. This is a good addition to the kitten pack as the kitten will have something familiar when it gets to it’s new surroundings. Make sure when you take your kitten home that you continue to feed it the food it is used to for a couple of weeks. Gradually introduce your usual kitten food if your other cats eat different food to the kitten. You do not want to introduce new food straight away as this can cause an upset tummy. Hopefully these points will help you to find the perfect breeder for your perfect new kitten. If you want to see part 1 of this post where I discussed getting a shelter kitten then please look at the Choosing a Kitten post. If, after seeing my pictures and stories of Dyson, you would like to hear more about the Ragdoll breed then I have written a description of ragdolls. Please take a look. Otherwise please leave me a comment especially if you are currently looking for a cat breeder or you have recently purchased a new kitten. 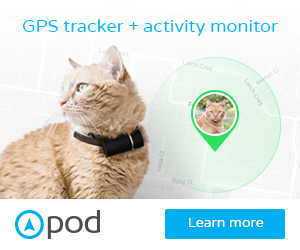 Pod 3 GPS Pet Tracker Black Friday Sale Now On! Thank you so much for all this information. Very informative! I have a friend that is looking for a cat breed. Your site will be a perfect starting point for her. I will be passing your information on to her. Thank you very much for commenting. I hope that any information I can offer your friend will be of help. 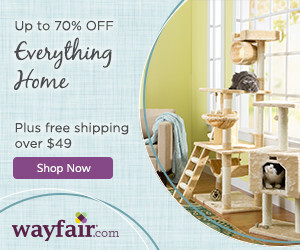 Thank you for this excellent information on finding reputable cat breeders. So many prospective cat owners are completely unaware of common genetic illnesses in certain breeds. It can be devastating to discover your cat is afflicted after it has become a family member. I also enjoyed the information on the Ragdoll breed. I have been a cat lover and owner for many years and had never heard of this breed. How interesting that they’re all born white and then change color as they mature! Great post! Hi thanks very much for stopping by. I completely agree with you that it is devastating to find that your family member might be very sick once you have taken them home. I hope therefore that people research their breeders so that this does not happen to them. I do though love introducing people to ragdolls as they are lovely cats and I have more information about them here. Thank you so much for this informative post. These are certainly some very important points a person should look out for while finding a breeder. I’ve also had cats in the past and some of my relatives have dogs and I’ve heard people saying that dogs and cats can never live under the same roof. Is that true or is it just a rumor, in your opinion? Thanks for your comments and question. Oh cats and dogs can live together and often quite happily. It is all down to how you introduce them together but this is the same for introducing a new cat into a household that already has a cat. Dogs and cats hating each other is pretty much a fallacy – though some dogs may dislike a cat this is very much down to the individual dog (or cat) and not the entire species. Loved your post on finding reputable cat breeders. As soon as I had a question in my mind you seemed to answer it. You certainly seemed to cover any information one would need in finding a breeder for a pure bred cat. What is the protocol for an adoption of a cat that isn’t pure bred? Is is the same except for the papers? What about adopting from a humane society? It really is so good to know what is required from someone who is selling you an animal. Thanks for the info., great job. Hi thanks very much. I actually discussed adopting from a shelter in part 1 of this post which is entitled How to Choose a Kitten as I am aware that a lot of people will want to adopt and not shop. I love your suggestions. We should avoid pets’ “farms”. They just want to produce “stuff”. I have been reading that there are numerous cats and dogs in the shelter. Do you think it is wise to adopt an adult cat? This is a really fantastic guide and set of information and steps to follow when looking for a cat breeder. I have dogs and they’ve always been pedigreed so we have lots of experience with them. And honestly, I see a lot of similarities in the things to look for between cat breeders and dog breeders. Well done! I’m not looking for a kitten; I’m a dog/pup man myself. But, this is very good information. People should do the due diligence when opting to get any type of pet. The worse thing that can happen is rushing into acquiring a pet only to find out 3 months or so down the road that it is not compatible with what you where look/hoping for. Pets and pet owners have to be somewhat compatible; the right dog or cat breed for the right owner. Everyone should completely do their due diligence when getting a pet but also breeders need to be reputable and interview people before they take a pet from them. 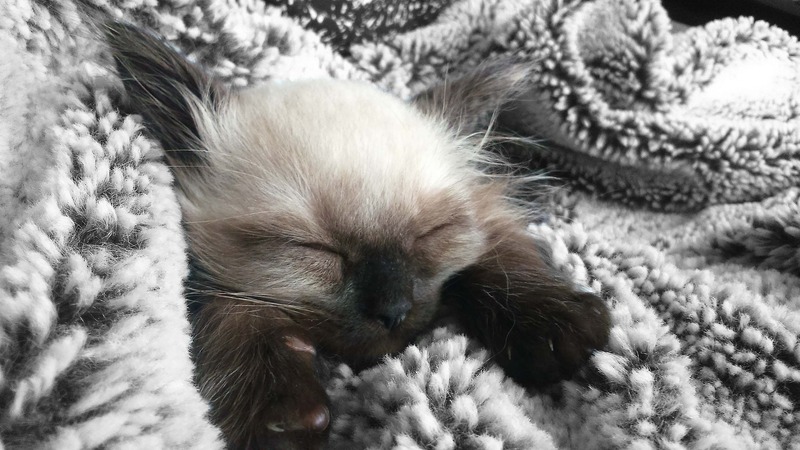 When I got my first ragdoll kitten I had to meet the breeder and they asked me what I knew about the breed, I also had to sign a contract that I would not breed from my cat.